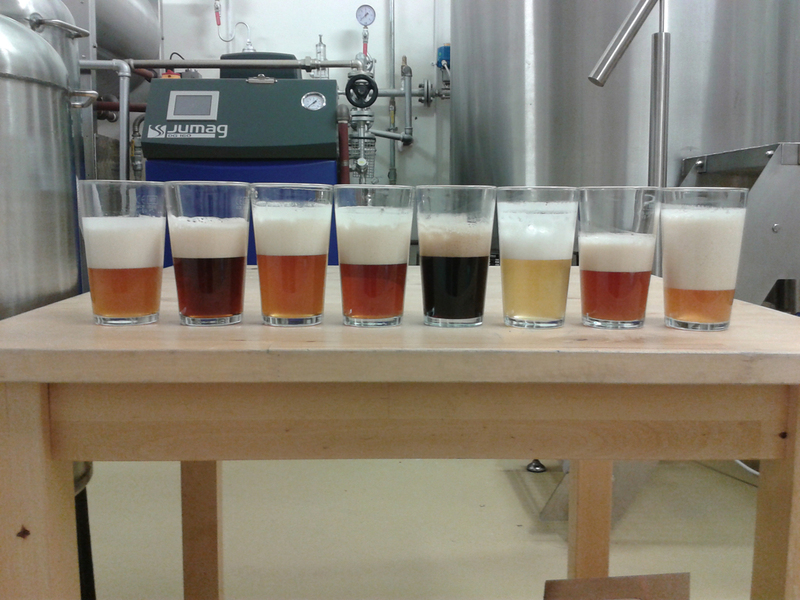 NB: Brewery tours take place at K2 in Letterkenny! In 2013 Kinnegar expanded from its miniature birthplace into a purpose-built 10HL facility tucked cleverly into the existing farmhouse environment where Libby and Rachel grew up and where they still keep their horses (and parents!) today. In late Spring 2017 the brewery moved to K2, a state of the art facility in nearby Letterkenny. Visits to the brewery offer enthusiasts a complete overview of the brewing process, beginning in the malt loft and continuing through the brew house, the fermentation process, the conditioning cellar, and finally to packaging. We will also schedule Saturday tours at fortnightly intervals in high season. Keep an eye on the website for updates. Groups by prior arrangement at all times. Tours cost €10 and you must book in advance on 074 910 3890. Please give us a couple of days notice! Tours proceed subject to six or more participants booking in. We will inform you in good time (minimum 24 hours in advance) if the tour is not going ahead. Kinnegar’s signs, posters, glassware, T-shirts, hoodies and gift packs may be purchased after your tour. Vouchers for brewery visits are available, if you feel like giving your favourite Kinnegar fan a surprise. Please note that Kinnegar is an operating production facility and its visitor amenities are correspondingly limited. No seating is available during tours. Parking is available on site. Visitors are welcomed strictly by prior arrangement.